Parallels Desktop® for Mac is fully optimized for the latest releases of macOS® and Windows. Designed with developers in mind, Parallels Desktop has integrated developer tools into our Parallels Desktop® for Mac Pro Edition to encourage software and web-development tasks. If you rely on development systems—such as the Microsoft Visual Studio plug-in and SQL Server Management Studio—but have a Mac®, Parallels Desktop is a great option. Upon learning more about our developer audience, we found some incredible users who utilize a virtual machine to develop and test their projects. One such user is Darren Petit, who is the chief technology officer at Outpost HealthCare. Outpost HealthCare is an app that empowers humanization in healthcare for all by bringing the best healthcare professionals together as a virtual team for an individual’s unique needs. Darren has three developers on the team who use Mac, and two of them use Parallels to develop on Windows. They use Visual Studio.Net, SQL Server management studio, and other various tools for development. Developing a cross-platform solution is important for the success of Outpost HealthCare—but deploying their app can be stressful. That’s why Darren Petit relies on Parallels Desktop to help develop with peace of mind. He extensively explored other virtualization options with benchmarking tests, such as performance and macOS integration. 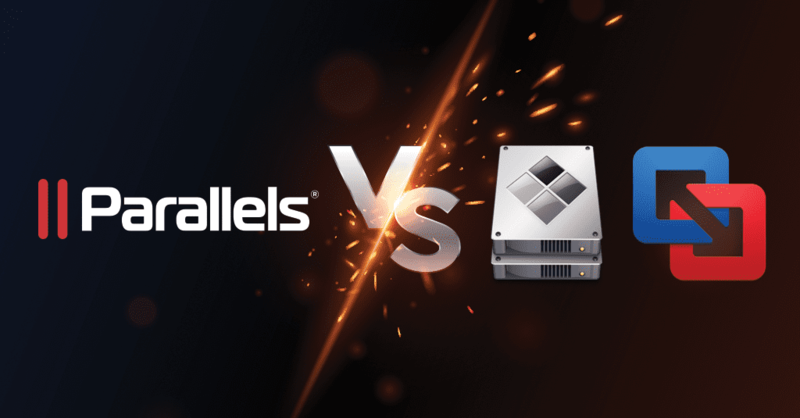 Parallels Desktop won in performance and integration over VMWare Fusion and Boot Camp®. Unlike Boot Camp, Parallels Desktop lets you run both operating systems at the same time without rebooting. Hands down, Parallels Desktop is the fastest and most tightly integrated application for running Windows applications or desktops in macOS. Copy and paste, drag and drop, share folders between systems—these Parallels Desktop features are what create a seamless experience when working between macOS and Windows. What else can Parallels Desktop do for developers? One-click problem solving for various network testing, such as our Network Conditioner feature. Our favorite part of Parallels Desktop is our users. We encourage readers to reach out to our team and tell us about your experience! Feel free to comment below, or on Twitter or Facebook. Haven’t tried it yet? Try a free 14-day trial and get started with Parallels Desktop in minutes.